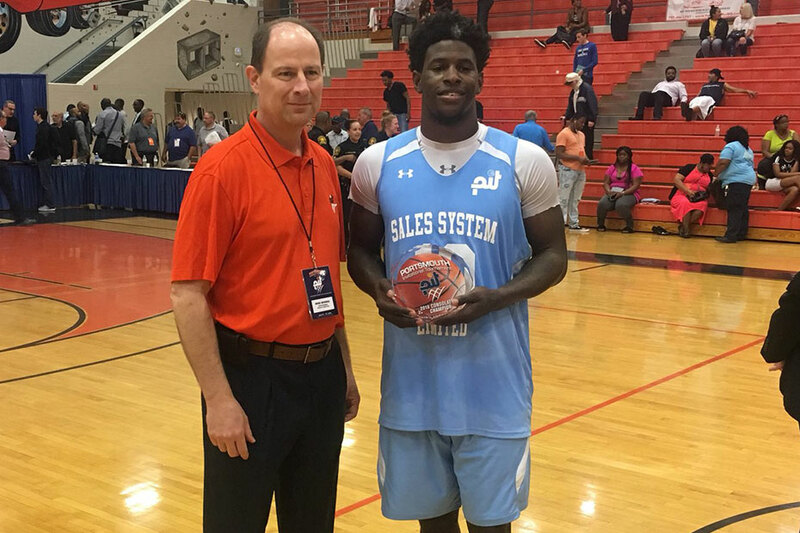 PORTSMOUTH – Former Arkansas men’s basketball standout Jaylen Barford went up against the best college seniors in the nation over the weekend and earned Most Valuable Player honors at the Portsmouth Invitational Tournament in Virginia. Leading his team to a perfect 3-0 record, Barford finished second in the tournament in scoring at 19.3 points per game, including pouring in 23 points and adding five rebounds in the semifinals. He shot 38 percent from behind the arc and averaged 6.7 rebounds per contest. Not to be outdone, Daryl Macon averaged 10.7 points per game and proved to be one of the best point guards in the event. He led all players with 23 assists, dishing out 7.7 dimes per contest. The Portsmouth Invitational invites the 64 best college basketball seniors from across the nation to participate in a four-day, 12 game tournament in front of representatives from all 30 NBA team. Held every year since 1953, the tournament is a showcase for future professional players with approximately 200 NBA representatives attending the event this year.